If you’ve spent any time reading product descriptions on the internet, you can probably recognize marketing language. Big, shiny words and inscrutable terms are thrown around in hopes that you won’t ask any questions about the actual quality of the product. But when CTEK Battery Charger claims to use 8 stages to charge and maintain a battery, they’re not just making this stuff up. Each stage does something unique and interesting, and knowing what they are could keep your battery healthy and active for much longer than most batteries its age. Here’s how to use a battery charger. It’s been estimated that sulfation causes the untimely demise on 80% of all batteries on the road. But what is this chemical villain? Most car batteries are lead-acid units, which are composed- you guessed it- of lead plates submerged in sulfuric acid. Over time, the electricity generated by this union creates a compound called, predictably, lead sulfate, a white powder that builds up and bonds to the lead plates. This means there’s less lead surface area to react with the acid, which means less power. No, CTEK smart battery chargers don’t have nanobots that swim through your battery scrubbing lead sulfate off of the metal, even though that would be awesome. Their method is much simpler. It uses high voltage, low current micropulses to detach the sulfate crystals and let them sink benign to the bottom of the cell. This pattern does not charge the battery yet. That will begin at the next stage, and the CTEK can detect automatically when it has done all the desulfation it can before moving on. This works on batteries with as few as two volts left. Step 6 is called Reconditioning, but a huge part of reconditioning a battery begins with Desulfation. Please high five the nearest scientist before continuing. Remember that scene from Band of Brothers when Easy Company finds that concentration camp and immediately starts feeding the survivors everything they can, because Easy Company was awesome? The company doctor came around and ordered the feeding stopped, because a severely famished person needs to start on a light, liquid diet before eating solid and richer foods, which could damage a disused digestive tract. Batteries work very similarly. A severely discharged battery needs a reduced current when it’s first hooked back up, or it could be damaged. The Soft Start stage offers that smaller meal until a battery gets back up to about 10-20%. This principle also works with lithium ion batteries, which is why it takes your cell phone much longer to charge from dead than it does to charge from 20%. Now comes the feast. The battery is now safe to charge with a rapid, high-voltage, constant current until it reaches about 80%. CTEK designed their chargers to make this happen as quickly as possible without damaging the battery so you can start and run your car as needed. Don’t misunderstand. The other stages are important as well, but so is getting to work on time. 80% is plenty to get your car started and rolling. You can take care of the rest later. There’s a scene in The Fellowship of the Ring at Bilbo’s birthday party when the Hobbits have all feasted and are now nibbling on things. Tolkien describes this as “filling in the corners,” and anyone who has eaten a Thanksgiving meal understands the meaning. The Absorption stage “fills in the corners” of the battery. 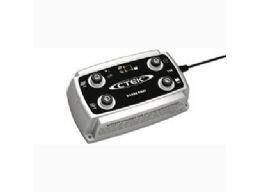 Once the CTEK detects that the charging has slowed at about 80%, it begins to taper the current but keeps the voltage up, force-feeding the battery for about 10 hours until it reaches 95-99%. The CTEK will now go back and check its work. It will test for about 3 minutes to make sure the fully charged battery isn’t bleeding any charge. If it is, there’s not much hope for your battery and you’ll need to replace it. If not, the charger moves on to the next step. Once the analysis is done, the charger will spend anywhere from 30 minutes to 4 hours reconditioning your battery. This is good for deep cycle batteries that were previously fully or close to discharged. Reconditioning involves a quick and sustained burst of voltage to fix something called acid stratification. Often when a battery is overcharged, it can cause the water within the battery acid to split into hydrogen and oxygen. This condenses the remaining acid, which, now heavier, settles at the bottom of the battery. This can also happen through simple gravity if the battery sits unused for long enough. Remember, though, that the more lead touching the acid, the more power you get, so the reconditioning stage sets to shake things up through a process called equalization. This basically sends enough current through the battery to cause tiny bubbles to form, stirring up the acid settled at the bottom of the battery and remixing the acid and water into an efficient solution. After reconditioning, the voltage and the current level off to maintain a floating charge of 13.6 volts to keep your battery topped off. At this stage, your battery will fully charge to 100%. The float charge will remain active for up to 10 days. Float maintenance is fine, but not for extended periods of time. If this battery is sitting in your classic and you’re storing it for the winter, you don’t want to leave it on float charge. This could cause overcharging, which can lead to the stratification problems above. It also increases the risk of boiling or drying out. Bad news. 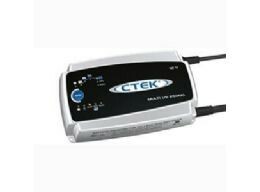 CTEK’s solution is the pulse charge, which is healthier for your battery and doesn’t waste energy. It offers short pulses of power when the battery power drops- as needed. It will keep a battery charged at 95-99% for months. CTEK Battery Chargers holds the patent on the only chargers to offer both float charging and pulse charging. No, this isn’t just marketing malarkey. 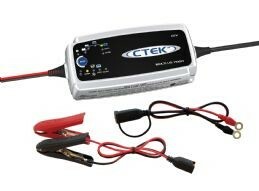 CTEK set out to make the most advanced battery chargers on the planet, and they succeeded. With real, hard science. I was looking for something like this. Thanks! Step 8 Pulse charge light doe not come on. I recharged the car battery to step 7 Float with no problem. All green lights up to 7, including Power Lamp, Normal Battery Program, AGM & RECOND indicate green. The only one not lit up is 8 Pulse. I have the same thing happening. I’m wondering if it only switches to stage 8 after 10 days of being on stage 7 (if you read the article above). But I’m also hoping to find a clear answer to this. Leave the charger connected to your battery uninterrupted for a week or so and the last light should illuminate.